While it’s difficult to describe what this space has meant to the Richmond community throughout this decade, the contributors of The Auricular tried our best to memorialize the space by sharing the concert memories, silly anecdotes, and personal epiphanies given us to by the latest, but hopefully not last, resident of 929 West Grace Street. Included in between these thoughts are some panoramic shots of the venue that Strange Matter shared on social media recently. Click on them so you can take a look around the space while you relive these priceless memories with us, and make sure to catch any one of the last three shows at the space this weekend. I played my first show ever in my life at the age of 38 at Strange Matter. For this reason alone, Strange Matter will always have a special place in my heart. Back then, I was nine months new to the city and four months new to sobriety. I was totally green to the Richmond music scene. I was learning how to navigate through life sober and looking for avenues to put my energy towards. So I chose music, something I had adored and studied in my life, but had not attempted since I was 17 when I last sat down behind a drum kit. When I joined the military to get out of Suffolk, VA, my thoughts and aspirations of being a musician faded away. I met Adbul Hakim-Bilal on my 4th day of sobriety and we started a two-piece band at first called Tetragrammaton, and then renaming it Among The Rocks And Roots. Abdul was new to this city as well, arriving about a month before I did. We had a lot of strange ideas and we absolutely did not know what we were doing. Us being new to the city and the music scene ended up being a fortuitous turn of events as we did not have anything familiar to fall back on and it freed us to try out the strangest ideas we could think of. My first show in the city was seeing Mutwawa and Navi play at the now defunct Balliceaux. What I saw that night opened me up to how beautifully weird and talented the musicians in this city were. Being sort of awed at both Mutwawa and Navi made me feel that it would be a victory or a miracle if we could just get a show in this city. Cut to two months later and after being a band all of four months, Abdul e-mailed me with the news that we would be playing Strange Matter as part of a six band bill on a Friday. Mark Osborne, the promoter at Strange Matter, was (is) crucial in taking chances on new bands and actually listening to musicians who have experimental tendencies. So I played my first show in my life at Strange Matter at the age of 38. Most people don’t start so late but I had a lot of stuff to do in my life before I had time for music. But I was always listening. Over time, I have developed a stage persona in my psyche so that I am never nervous. But that night, I was. I was so scared I don’t really remember much of it except that I just wanted to get through it unscathed. And suddenly after two songs and twenty minutes, it was over. And people clapped. And that made me feel good. And strange. I felt really proud and honored just to play a show in this city and at a venue where I had seen so many wonderful musicians. I went on to play many more shows there. Some great, some bad. Sometimes it was packed, sometimes there were six people there. Probably my fondest memories of a show there was seeing Acid Mothers Temple for the first time. Me and Abdul both took the otherworldly and trance inducing sounds in different ways. I closed my eyes for what must have been thirty minutes and let the Mothers take me away. I think Abdul cried. In the beginning of my time here in Richmond, Strange Matter became sort of a second home. I saw so many shows and met so many people. I wonder how many bands were formed just by musicians standing out front and smoking. I know I met future RAIC saxophonist Erik Schroeder at one of the many Noise Fest events held there, which has become a longstanding musical partnership. Strange Matter is just a place though. It’s a crucial, artistic, and heavily bruised part of an area that is slowly being swallowed up by gentrification in general and VCU in particular. The loss of this establishment seems to be another notch in the growing development of the city into more bland commercialism. It will probably become a Harris Teeter. Or a Staples. Either way, it’s the spirit of the people who go there that I hope will live on somewhere else. See, the venue is going away, but the people and the musicians who make this community what it is are not going anywhere. Strange Matter is just a building with crappy bathrooms and a sketchy stage. The people who go see shows there are the ones that make it live and breathe. Like Good Show Steve. Or Randy Reus. The musicians that play there give it heart and passion. My sweat has poured out at Strange Matter. I have bled on its floor. I have tried new ideas out there, some good and some bad. But I always expressed my music in a passionate way there. And countless other musicians did too. I just hope the musicians, artists and folks who go to shows can find another venue where all the wonderful people of Richmond can make magic happen again. All it takes is heart. And a sense of community. I have faith, Richmond. We can do this. I’ve lost track of how many bands I was introduced to at Strange Matter. Alvvays, Lee Bains III and the Glory Fires, Diamond Youth, Tacocat… the list goes on. I’ve also been injured the most here out of any venue because I have the uncanny ability to somehow be drawn into mosh pits. During one of the Happy Skalidays shows with Murphy’s Kids, I once again found myself in the middle of flailing arms and shoving bodies, and some girl kicked me in the leg… hard. I nearly fell to the floor, but she and some dude helped me up. The girl was super sorry for kicking me and offered to buy me a drink to make up for it. Then she proceeded to throw up right in front of me. Seems like a perfect memory for a venue as unique as Strange Matter. I don’t remember my first experience at Strange Matter very well, but I do remember what would turn out to be one of my last. It was March of this year, and I was back in town enjoying my last spring break before graduation. As fate would have it, one of my favorite bands, Crumb, had a show scheduled for the Wednesday of that week at Strange Matter. It was a Citrus City bill, and I distinctly remember that Alfred. was one of the openers, because they went onstage and put on one of the strangest, most engaging performances I have ever seen, which involved a dude wearing a sweatshirt and sunglasses, dancing jerkily on one side of the stage while Alfred. delivered their verses on the other. It was incredibly surreal. Or surreally incredible. I would even end up incorporating that experience into one of my last pieces for my screenwriting independent study that semester. Next, Crumb came on. Psychedelic, indie, alternative, jazz fusion, with some punkness to it. You could almost call that the “Richmond sound,” and they’re not even from Richmond. The crowd was packed, but there was still some room to move around and find a spot close to the stage. I was there with my friend, Cullen, who had never seen Crumb before. By the end of the show, he was a convert. The set was fantastic. They closed with, what’s arguably their most popular song, “Bones,” and at one point, one of the members, I can’t remember which, jumped off the stage and danced with the audience, while waving a tambourine around. Talking to Crumb afterwards was cool as well. I bought one of their records. They remembered me from a house show I played with them at Easy Greasy in Harrisonburg, back in 2017, a show that I, mostly ironically, remind my friends about every chance I get. Hey look, I even managed to slip it into this article. For me, and for many others, I’m sure; Strange Matter represents more than just fantastic nights and great experiences. Just as cultures form around record labels and music genres, they form around music venues. The culture that surrounded Strange Matter was one that was, at once, talented, experimental, controversial, weird, and diverse, even within its specificity. The people who made nights like the one that I remember, wonderful, will continue to do what they do best, but no time with them will ever be a Strange Matter experience, as it was before. I almost didn’t get to go. I’d seen Mdou Moktar perform once before — after a University of Richmond screening of his Purple Rain remake Akounak Tedalat Taha Tazoughai (“Rain the Color of Blue with a Little Red in It”). That performance took place in a lecture hall, and the sound setup wasn’t ideal, so I was thrilled to see him in the luxuriously loud environs of Strange Matter. The night of that show came, and the power in my neighborhood went out. Shortly thereafter, I heard from a friend via text that the show was starting and made the wrenching decision to stay put. Thankfully the power came back on maybe 20 minutes later, so I hopped in the car to zoom down Patterson then Monument and catch whatever desert blues I could. I parallel parked in a spot exactly the size of my car, ran to the door of Strange Matter, and walked into the sweatiest, most humid show I can remember, and it was absolutely glorious. Moktar’s guitar was even hotter than the air, and I even got to shake his hand after his set and tell him how much I enjoyed it. He couldn’t have been more gracious. I’ll wear the shirt I bought that night — a picture of Moktar’s face above his name written in the Purple Rain font — until it’s so threadbare it disappears. Fireworks. Cascading sparks in the form of spit, riffs, and vibrato flying every which way, with Marissa Paternoster at the center of it all. That’s how I’d describe seeing Screaming Females in person, and I can’t recommend the experience enough. In addition to Paternoster’s pyrotechnics, you have tremendously tuneful songs that result in the kind of choruses that feel good to sing amid a throng of people — just the kind of elevated moments that Strange Matter fostered via close quarters and reasonably priced beer. This was just a short time after All At Once came out in February. If you haven’t heard it, listen now and it might end up as your favorite album of 2018. This was the first (and only, so far) time that I got to see my sister’s husband play a show with the Chicago-based metal band Czar. He’s a powerfully talented and precise guitarist, and while he and I talk about all sorts of music, more or less everything I know about metal and its ear-splitting subgenres comes from him. The highlight of the show — aside from getting to see my brother-in-law’s otherworldly command of a fretboard in person — was the band’s take on The Beatles’ “She’s So Heavy,” which was, you guessed it, so damn heavy. I’ve had the good fortune of seeing Matthew E. White perform a handful of times now. The first two were a study in contrast. The very first time I saw him was at The Camel, a venue where the stage is low enough that the band can feel like part of the audience at times. But I remember how this show at Strange Matter offered a different perspective — literally. The stage is much taller, which gives you a great view, elevating artists in ways both physical and metaphorical. And that’s the image of White that’s stuck with me throughout Spacebomb’s wildly successful run as a production house that can elevate songs all over the musical spectrum — just as they did alongside the artist who shared the bill with White that night, Howard Ivans. I bet this ranks as a favorite for a number of folks in town. It was Halloween. The Trillions covered the Strokes’ Is This It album in full. Bassist Robbie King performed as Left Shark from Katy Perry’s Super Bowl halftime show performance. A teenage dream all around. I even went onstage and participated in the costume contest. I went as “That Guy” — the person who wears the t-shirt of the band he’s going to see, making sure to layer a Sleepwalkers shirt and a Trillions shirt so I could be That Guy for both bands’ sets. Not bad, right? OK, you’re right, it’s pretty bad. The music that night, on the other hand, was excellent. Two bands that will always loom large in my memory of my time seeing shows of Strange Matter. Has your attention at a concert ever been so rapt that it felt like you couldn’t move? Like the air was balanced just so, and the slightest disturbance would have broken the spell that had been cast on a group of people watching a person sing and play guitar? I have, and I have Angel Olsen to thank for it. What a moment this was — seeing in person the focus and command she projects as she’s performing. I think part of me is still frozen in place where I was standing, my back glued to the front of the bar, right next to the water cooler. I miss Pretty & Nice. The Boston-based group broke my heart by disbanding in 2014. I still believe they’re one of the most thrilling and colorful bands I’ve ever seen or heard, and I feel very fortunate to have interviewed them before they took what they called “an indefinite hiatus.” It was June of 2013, a few months after they released their stunning and well-received Golden Rules For Golden People LP, and a few minutes before they were set to play at Strange Matter. I was new at interviewing, and I was nervous. We ended up chatting while standing in the nearby Plaza Artist Materials parking lot, and here’s the article that resulted. I think it turned out well. That night’s show certainly did; their set was characteristically sharp and kinetic. Did I mention I miss Pretty & Nice? I’ll miss Strange Matter, too. Thanks to the bands and kind Strange Matter crew who made these happy and affecting moments happen. Strange Matter has always felt like a true home for the misfits that sought creative refuge in Richmond. A dreamscape with flickering lights from arcade machines, our favorite punk lullabies playing from busted speakers and figures from our childhood painted on the walls treated like the gods that they were. It was a place that could give you just enough encouragement to run on stage for the first time and see if music could be the right guidance you needed. It gave you a chance to see your idols play on that stage and somehow feel like their lives weren’t so far removed from your own. With Strange Matter shutting their doors, we aren’t losing a space to play music in the scene. We are losing a home that gave us the strength and courage to work on our crafts and spend a moment in the spotlight. Even if it was just for the allotted time of our set that night. When asked about my favorite memory attached to Strange Matter, it’s a challenging question that I only answer with a complicated response. I could easily point to how the craziest show I may have ever attended there was Diamond Center, White Laces, Super Vacations, and Snowy Owls on a cold, rainy winter evening so many years ago. The most unexpectedly awesome show I might have attended was Fucked Up. They ended up playing their first album, Hidden World, from start to finish just because they felt like it. I could tell you about seeing Nelly Kate celebrate the release of her album Ish Ish and how this was such a special moment for my friend and creative peer. I could reminisce about seeing all of my friends step foot on that stage and leave a piece of themselves up there every time. And how it made me go home and strive to be a better musician and human being. There are too many significant moments to cull from, but I would say these next two or three might be the closest ones for me. In the summer of 2013, I wanted my festival WRIR and The Commonwealth of Notions Presents to take place over the course of a weekend. Four days of music at four separate venues with twenty or so local bands. Strange Matter would be the first night of the festival and it was beyond insane to see the number of people come out to support this thing. Whether they knew it or not, it encouraged me enough to try and make it through the weekend, and it helped me continue to throw together these festivals ever since. The other impactful thing is that I put on Clair Morgan, a band and also not a band that featured a peer of mine from years ago. We had lost touch. Somehow, music reconnected us. A copy of his album No Notes got dropped off at the station and I wanted to invite him to perform at my festival. If it weren’t for this chance meeting and having Strange Matter bring us back together, I’m not sure that I would have joined his project, met a true friend, found a great collaborator, and began the life trajectory I found myself in ever since. And the beauty of that is my story is what I hope will become a Strange Matter traditional. When we talk about the beloved venue, we not only mention our favorite strange memories. We talk about how we met our best friends. We talk about how we fell in love with the company we kept and the memories created night after night. We mention how there was this intoxicating air to the venue that made it seem like you could become the version of yourself that you truly dreamed of wanting to become. It wasn’t just a room to play. It was the room you wanted to play, because it gave you the sense that you had kind of made it in some small sort of way. It wasn’t something you took for granted. I want to believe that a new performance space will occupy 929 West Grace Street and 2019 will surprise us by being the next chapter for that historic building. And as the saying goes, whatever takes over that space will have enormous shoes to fill and that’s true. But I think this is worth saying: If a venue remains in that building (as it should), be your own thing and continue the legacy of that space by being a home for everybody. Be the inclusive space that this community needs and be a home for artists of all genres, all walks of life and of every background. If there’s one thing that this community needs, it’s more creative spaces that give you the freedom that Strange Matter provided. And for as sad as I am that Saturday will mark the last day of operations for the space, I have to hold on to that hope that the universe can continue to surprise you and we will all be gifted with good news about what will happen next for that iconic address. The first time I went to Strange Matter was my freshman year of college. I went to see a friend of a friend’s punk band (whose name I can’t even remember at this point) while I was back in Richmond for winter break. Even though I had seen plenty of shows in high school at venues like The National, The Camel, and The Canal Club, none of them had quite the ambience of Strange Matter. With gender neutral bathrooms, broken arcade games, sticky floors soaked with memories from the nights before, S’matter just was what it was. I remember being an inexperienced adult, feeling “cool” while chain smoking cigarettes in the front of the building in between sets. Even back then, I knew that experience was a coming of age moment for me as I tried to figure myself out, while getting to see other artists doing the same. 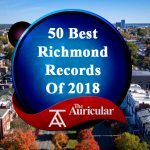 I felt a little bit like an outsider in the local music scene, but as I kept going, I kept learning about the immense amount of talent Richmond’s music scene had. Honestly, I still have a lot to discover in that front, but I thank Strange Matter for being that vessel for me. Aside from the music, I think one of my favorite events that Strange Matter hosted was their Sunday evening movie nights. I remember seeing the film Battle Royale in a room full of other moviegoers, and thinking about how much better the movie seemed with audience reactions sprinkled in between scenes. Moments like this really helped me feel like I was a part of the community in a small way. All in all, Strange Matter was a fun, safe space for so many people in Richmond and I’m happy to have been a part of the community. I can’t help but feel like I should’ve taken advantage of it more when it was around –going to more shows or movie nights –but I hope its legacy encourages more safe spaces to open up in the future. It’s hot and sticky, the back of my shirt drenched in sweat as I sit down at a table on the side wall adjacent to a sea of judging eyes. “It’s like 5:30,” their eyes say, “why the hell is he trying so hard to sit down?” Well, judgmental people I now hate, it’s because I just got off a 10 hour shift and rushed downtown to make sure I didn’t miss this early show… and now there is a woman peeling an orange on stage. This is the defining memory I have from my first visit to Strange Matter. It is March 23, 2012. I know because I remember snapping a photo of this woman on stage and posting it on Facebook because it was 2012 and you couldn’t experience something this crazy without posting it on Facebook. Here’s a blurry look because I didn’t know then (or now) how to take a good photo on an iPhone. 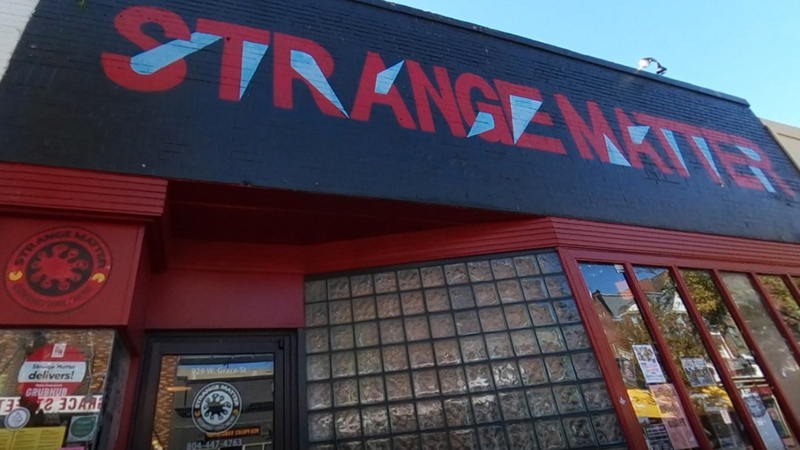 The real story is that I’d been wanting to go to Strange Matter for well over a year at this point, with their website placed near the top of my bookmarks in Firefox. (I was late to Chrome, but then again, my old computer probably couldn’t have handled it.) There were a lot of shows I wanted to check out, but most didn’t mesh with my then-restaurant job schedule and the ones that didn’t ended up conflicting with other events (weddings, birthday parties, Teenage Mutant Ninja Turtles marathons). But in early 2012, I saw a show I knew I had to make: Kurt Vile was going to play Strange Matter. It’s such a weird thing to type now because I would not classify myself as a fan today, but back then, I had just spent the better part of a year obsessing over Smoke Ring For My Halo, particularly the opening track “Baby’s Arms,” and there was no way in hell I was going to miss this show. So I get there, physically drained from work, slightly queasy from scarfing down a burger so quickly, and sweating profusely all over my body. I’m quite the catch, aren’t I? By this point, I’m still on a high because I’m going to see Kurt Vile, but that high quickly nosedives as the experimental group Supreme Dicks performs and that woman… also performs? I’m hardly against performance art, and I understand enhancing the abstract nature of the music you’re creating on stage, but I was absolutely in the wrong state of mind to comprehend, let alone appreciate, what was happening on that stage. Like I said, the universe was telling me to go home, sit this one out, and miss this show. But I didn’t. So there I was: sticky, tired, nauseous, and annoyed. And that’s my first real memory of Strange Matter. God, what I would give to relive that day in the exact same way. What’s hilarious is I have no real memory of Kurt Vile’s performance. I know it was packed by the time he played. I know he played “Baby’s Arms” and his then-big hit “Jesus Fever.” And I remember my friend who met me at the show was impressed despite not really knowing his music. But outside of that, no real memory of that show except the orange peel woman. It doesn’t matter. It was my initiation into the cult of Strange Matter and it opened up the rest of 2012 for me that was spent catching a lot of fun shows there. I know I saw Sports Bar for the first time around this time, but no idea who they opened for. I just remember them singing about Taco Bell while I sat on some of their equipment to the (very) narrow left of the stage because I had rushed over there from work again. I caught Fang Island there and thought I was going to be the weird guy who knew every word and mimicked every guitar note… until someone else graciously upstaged me with the most ferocious air guitar I’ve ever seen. And this was before the Air Guitar Championships even came to Strange Matter! Outside of all those fun shows from that first year I started going, Wild Nothing’s stands out to me. It was packed as well, but in this kind of somber sedation as people just swayed on top of Jack Tatum’s textural majesty. But that all changed when he closed his set with “Summer Holiday” and the place just erupted. And when I mean erupted, I mean that someone got on stage and tried to do a stage dive that ended up in one body clumsily colliding with several people standing in front of the stage. Luckily no one got hurt, and it was just another crazy moment I witnessed at Strange Matter. More great shows and memories followed in the years since my first indoctrination. I remember playing a Simpsons arcade game with my wife in between local sets on a Friday night, and cursing at myself for not being as good at it as I was in my youth. I vividly remember the frantic feeling of bolting out of an amazing Jason Isbell Friday Cheers set so I could make it across town to Strange Matter to catch PJ Sykes and Mac McCaughan (made it in time for Mac, sadly missed PJ). And of course, most shows ended up with me stalking out the merch table before and after sets trying to work up the courage to talk to the band, and more often than not chickening out and just buying a T-shirt. Actually, come to think of it, I think the vast majority of band T-shirts I’ve bought at concerts were bought at Strange Matter. Huh. There was a Des Ark show in December of 2015 that stands out too, but not for Des Ark even though she was amazing and I got to enjoy it with RVA Magazine editor and musical encyclopedia Drew Necci. No, the opening acts are what stand out to me. It was the first time I caught Doll Baby live, with Julie Storey blowing me away, and the second or third time I got to catch Lucy Dacus live before her meteoric rise. Her set stands out because it was the first time I caught her since The Fader had premiered “I Don’t Wanna Be Funny Anymore” and you could feel the buzz building in the crowd – I remember noticing a lot of people who seemed to be there just to see her in fact. It also came less than a month after I interviewed her for RVA Magazine over kimchi at J-Kogi and it was just a surreal experience watching this artist, who used to play living rooms and was now on the cusp of breaking out, perform on stage with grounded resonance and veteran poise. Of all the shows I went to though, my most-cherished memory happened in February 2017. It was a Friends For Equality show that sadly didn’t draw a huge crowd, but that didn’t matter to me. For those who frequented Strange Matter, you know the type of show. You spend the first half shocked that more people aren’t here, and the other half loving how intimate the concert has become. It’s also always nice to have your pick of where to stand/sit in a concert so that level of comfortable accessibility has to be key. Feral Conservatives, one of my very favorite bands from Virginia, went on early in the night and performed some new songs that would end up on their fantastic record later that year (that sadly turned out to be their last). There was some mandolin problems early-on, but that didn’t stop them from performing with the melodic fervor that caught my attention the first time I heard their music. I think I saw them four times before their dissolution, and this just might be my favorite. With their aberrant melodies and gutsy punk spirit, the band just seemed to be Strange Matter in every conceivable sense. After their set, I remember sitting at the bar wishing, somehow, that the band would uproot their lives and move to Richmond so I could see them perform in this space more often. After them, there were performances by RAIC, or some form of it, and Samuel Goff’s Among The Rocks and Roots, tying this while article together serendipitously. And while I was captivated by their music, I have to admit, I was just counting down the minutes until the headliner went on, because that’s what really made me clear my schedule that night and what really makes this night unforgettable to me. That show was the first time I ever got to see The Talkies, a four piece band mixing shoegazy aesthetics and garage vitality. 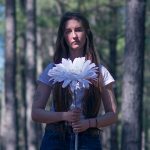 I had stumbled onto their music in early 2016 and become infatuated with their music, specifically the urgent diatribe “Graner Cards.” I’d spent the majority of that year talking them up to people I knew, playing them on my radio show, and including them in any type of local reviewing I was doing. But I’m pretty sure they thought I was crazy or, even worse, throwing hollow praise their way because I had yet to see them live. But this night — well, let’s just say I made sure nothing was going to stop me from showing up to that show. They went on last that night, including “Graner Cards” in their set specifically for me since it wasn’t part of their normal routine due to the lengthy vocal and lyrical requirements. The song was definitely the highlight of the whole night (and maybe month) for me, but even without it, The Talkies still crushed it on the stage and completely blew me away. I walked away thinking everything I had ever said or written about them was simultaneously validated and voided – they were more than I could have ever hoped for live, performing with a never-ending supply of swagger and harmony. The band was featured in Style Weekly a few months later by Karen Newton, who chose to open the article with this anecdote. “You don’t forget when someone tells you that the best bands in Richmond can’t be discussed without mentioning a particular one. Such is the case with the Talkies, as exalted by Sound Gaze producer and host Doug Nunnally earlier this year.” When did I say that? Halfway through their set at Strange Matter that night. I saw them a few times after that and they ultimately splintered off, with some moving out of the city. It was a loss I, as well as other local music fans, was well-versed in, having known dozens upon dozens upon dozens of great local bands that had to breakup for a variety of reasons. But this one hit me harder for whatever reason, probably because I was so invested in their music, but also their success. I desperately wanted for them to headline a massive, sold-out show one day, with a sea of people bobbing along to “Graner Cards” while I stood in the back, reminiscing about the first time I heard that song live. It was at Strange Matter. There, the band turned me from an ardent fan to a radicalized supporter, one who will beat their drum for the rest of my life. A lot of it has to do with the band’s talent, but I have to think a lot of it comes from that special place too because that venue enhanced so many bands for me with its unique atmosphere and welcoming environment. Yes, I felt judged the first time I went there back in 2012, but by this show, I felt comfortable enough to sit down for the majority of the show (out of laziness, not fatigue – I’m still quite the catch). More importantly, I felt at home within Strange Matter by that point, and I know so many other musicians did too – and that’s what we’re losing in Strange Matter. We’re not losing a cool venue with interesting murals and random arcade cabinets – we could easily build that somewhere else. No, we’re losing a home here, one many people found their voices in for the first time and others fortified over countless appearances. Looking at the history of that 929 West Grace Street place, it seems inevitable that another venue will move in there and it, or some other place, will fill that void here in town, but right now – that seems like hopeless optimism as we can’t seem to process anything other than the fact that Strange Matter, our home, will be gone this weekend. Thanks for all the memories, Strange Matter.